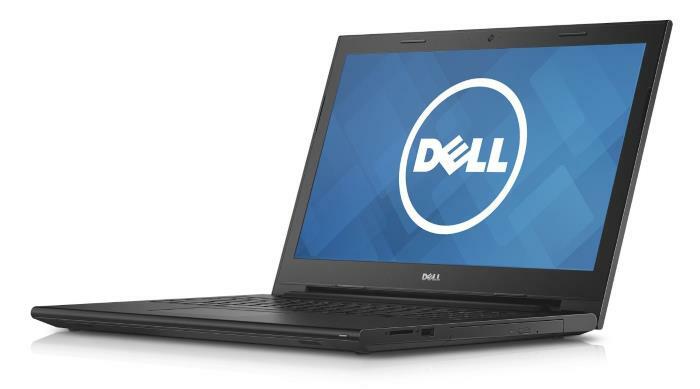 The Dell Inspiron 15 3000 3543 is the latest refresh of the PC maker’s 3000-series budget-class 15.6-inch laptop. This $350+ home and office notebook with square-ish chassis made of matte black plastics features the latest Intel Broadwell processors instead of older Haswell found in the previous 3542 and AMD CPUs in the 3541. Currently, Dell’s 3543 provides a couple of lower-to-mid range Broadwell CPU choices. Namely, the entry-level Intel Celeron 3205U and mid-tier Intel Core i3-5005U and i5-5200U. The Celeron is satisfactory only for the basic web, office, and multimedia tasks, while the i3 and i5 offer noticeably better performance, so you can do photo and video editing on them without stutter. In addition, the i3 and i5 have much faster Intel HD 5500 integrated graphics instead of the basic Intel HD, so they can be used for playing even the latest games on low settings. The Inspiron 3543 is also expected to be available with lower-end Nvidia dedicated video cards, namely the GeForce 820M 2GB and 840M 4GB. These can offer more fluid gaming than the aforementioned Intel GPU solutions. However, high-detail high-resolution 3D gaming is obviously beyond all the mentioned GPUs. As for system memory, the notebook supports up to 8GB. It has only one RAM slot, but thankfully, it is easily accessible for upgrades, as same as the hard drive bay. The machine comes with either 500GB or 1TB HDD preinstalled. DVD burner is present on this laptop by default. Touchscreen is optional. Whether it is touch-enabled or not, the display has 1366-by-768 resolution as the only option. IPS wide viewing angle technology has been omitted, but that’s expected when it comes to the budget notebook category. Another useful perk is optional backlight on the Chiclet-style keyboard with a dedicated numeric pad. The average buyer won’t be disappointed with Dell’s selection of ports, slots, and networking features of the laptop. It has three USB ports, HDMI video connector, a combo audio mic/headphone jack, and a memory card reader, as well as Wi-Fi, Ethernet LAN, and Bluetooth connections. Regarding physical specs, it’s worth noting that the non-touch Inspiron 3543 models weigh in at 5.3 pounds for the touch variant is a bit heavier at 5.5 pounds. 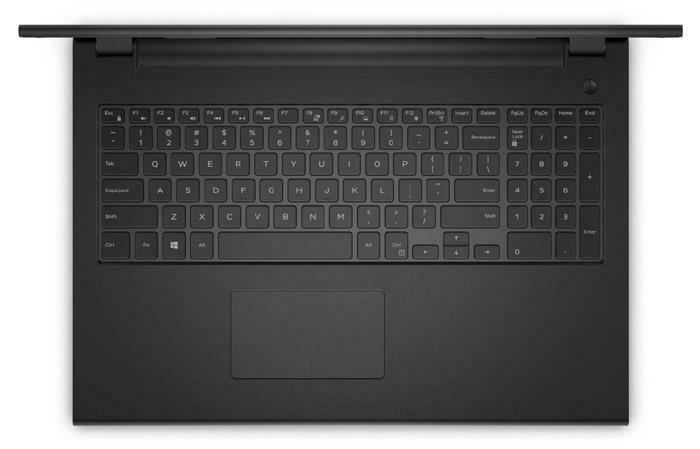 The chassis is 0.9″ high, so the laptop is quite thin. For a more detailed info on quality of the Inspiron 15 3000 series you can read this review of the 3541, which is basically the same as the 3543 except the core CPU/GPU components. Overall, the 15 3000 series generally offers a good bang for the buck. 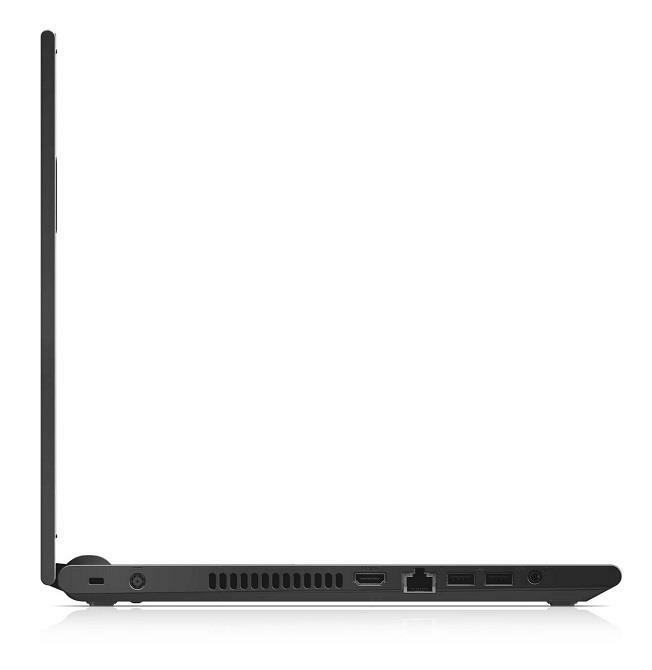 If you’re willing to shell out more money for a display with a higher resolution, batter selection of Broadwell CPUs, and sexier look of the laptop, you can check out the mainstream Inspiron 15 5000 5548 series as well as numerous other systems with the same widely adopted 15.6″ form factor.